A laparoscopic gastric bypass is a tried, tested, and successful bariatric treatment which makes you feel full with much less food being eaten. If you have developed one or more health issues due to obesity, then it is important to know that the gastric bypass surgery is the gold standard solution that can save your life when all else has failed. As a result of being on the cusp of developing health problems such as hypertension, diabetes, heart disease, sleep apnea, or other weight-related diseases, gastric bypass surgery can keep you from crossing the threshold. When you consider that obesity-related diseases are the second leading cause of preventable premature deaths in the United States, after smoking, the discomforts associated with surgery are minimal in comparison. Although gastric bypass surgery has been one of the leading forms of bariatric surgery for decades, the sleeve gastrectomy procedure is now the general leader. A recent study by the Cleveland Clinic Bariatric and Metabolic Institute in Ohio estimated that 51.7-percent of 193,000 procedures performed in 2014 were for the (stomach- shrinking) sleeve gastrectomy compared to just 26.8-percent for the gastric bypass. However, the reason why many still opt for the gastric bypass over the sleeve gastrectomy is the additional benefit of reduced calorie absorption. Because diabetics suffer glucose spikes when excess calories are absorbed, inhibiting calorie absorption plays a critical role in treatment. Diabetics also have a general tendency to avoid sugar which reduces the risks of dumping syndrome. Dumping syndrome occurs when rich foods like sugar are eaten too quickly and cause stomach-related discomforts. Therefore, many see this as a benefit for those who develop it after bariatric surgery because it corrects poor eating habits. When is the Gastric Bypass Procedure Advisable? 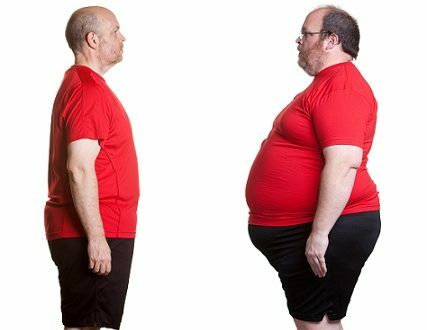 Patients who retain a current diagnosis of morbid obesity with a Body Mass Index (BMI) of 40 or above are the strongest candidates for gastric bypass surgery. Above all and for obese people who have tried dieting, exercise, medicine, and exhausted all other options, your doctor may recommend the surgery as a permanent solution. The laparoscopic method of gastric bypass is the preferred choice due to the rapid recovery time and reduced risk of infections, discomfort, and scarring. The ease of healing makes it a favorite with diabetics, too. Gastric bypass limits food intake by shrinking the stomach and reduces calorie absorption by bypassing portions of the small intestine. There are a few variations on the surgery that will be discussed with the specialist doctor. Each has different advantages for decreasing the level of calorie absorption. In any procedure, the upper small intestine and stomach are each divided into two portions. That is to say, the upper part of the stomach is reduced to the size of a walnut for the feeling of fullness and reduced food intake. Meanwhile, this small pouch is bypassed to a lower section of the small intestine for reduced calorie absorption. The laparoscopic surgery method allows our English-speaking doctor to complete the procedure with just a few tiny incisions in your abdomen. Using these access ports, he maneuvers precision surgical instruments and a tiny laparoscope camera into your abdomen. The real-time video feed from the laparoscope displayed on a monitor allows the specialist and her team of qualified medical assistants to complete the entire surgery in 2-4 hours. Patients are typically released from the hospital 2-5 days later. In conclusion and for patients who are serious about losing weight and keeping it off, gastric bypass surgery has a proven track record of success. Interestingly, more than 80-percent of patients go on to reverse their hypertension or diabetes! In as few as two years, patients can expect to lose between 60 and 70-percent of their excess weight. On top of these positive benefits, the laparoscopic method reduces the risks, too. OK, so I’m interested! What’s the next step? If a gastric bypass is something you may be interested in, please contact us to ask any questions you may have, or set up a consultation appointment with our specialist.